Should I Spend Donuts on the Great Raymondo Bundle? Fall has arrived and there’s a haze over our Springfield’s, that can only mean one thing….it’s Halloween in our pocket-sized towns! This year EA’s thrown a little magic into the mix, with an Angelica Button theme invading our towns. An all-new event means loads of new premium items in our stores just tempting us to drop those donuts while they’re hot! Of course with that limited-time label, it can be tempting to grab everything in sight because it’ll be gone soon. But don’t sweat it! 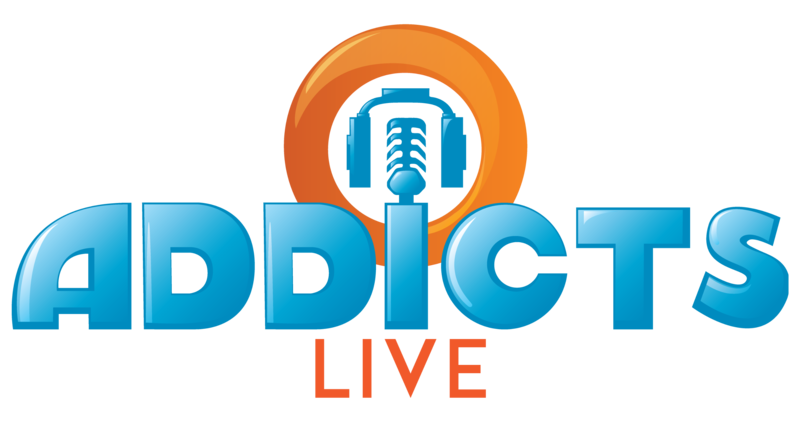 That’s where we come in to tell you what’s worth those donuts and what you might want to hold off on. -Can fight in Beast battles. Clears/fills 1 full mana at a time. -On the pricey side, but not outrageous. Of course, in the end, it’s your decision, we can only tell you what we would or wouldn’t do…and as I premium player I can tell you I’ll likely pick him up. But whatever you decide, just make sure you make your final decision before it leaves our games for good (or for now). Also, this is one of those items that helps with the event. So if you’re picking it up grab it sooner rather than later, so it can help you the most. So if you’re planning on picking it up I’d do so by this weekend. What are your thoughts on the Great Raymondo Bundle? 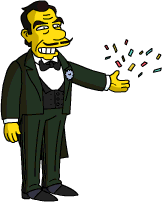 Will you be spending the donuts to bring this magician to your Springfield? Did you already? Why or why not? 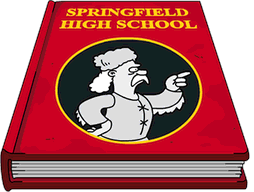 Where have you placed his house in Springfield? Sound off in the comments below, you know we love hearing from you! 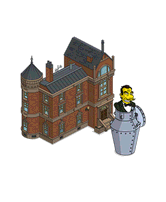 This entry was posted in Buildings, Characters, Donuts, Should I Buy, Tapped Out, Tips and Tricks, Updates and tagged Great Raymondo House, Great raymondo tasks, Is great Raymondo voiced?, Should I Buy Great Raymondo Bundle, Tapped Out Halloween 2017, Tapped Out Magic Event, Tapped Out Tips and Tricks, The Simpsons Tapped Out, TSTO Addicts, TSTO Angelica Button Event, TSTO Halloween, TSTO Magical Event, TSTO THOH 2017, TSTO Tips and Tricks, What does the great raymondo bundle come with?. Bookmark the permalink. This is the most boring tree house of horror ever! I have four characters that can do anything, so every 4hours or so, I log in and five them a job! That’s it! Awful… Hope Christmas is better! I think the worst thing is that there is now another sorcerer, but no more monsters left (even though I bought Wiggops and the dragon). I will finish Crawl tonight or latest tomorrow, so what should I do the next 10 days of act 2? Why did they give us three extra sorcerers (Angelica, Martin, Raymondo) who complete the enchanting thing even quicker, when there are not enough beasts to fight? Re: crafting. I think it’s bad that we long term players already have the good stuff, while in my B-town the crafting prices are so high, that I will not get everything. It all seems to be very unbalanced, as I could complete act 1 in my B-town without problems (the kids are still working on their second monster). P.S. : Does anyone know when we get the other characters in the “THOH XXVIII – Adults” section? I mean the vampire, Burns and Smithers plus that asian guy (act 2, price 7 is obvious ;-))? Later act 2 and 3. Ok, one more monster as act 3.1, one adult as final price act 3.7 (I guess the vampire), not sure when the bully-worm (don’t know the correct English name for it) will hit the game – hopefully soon to not run out of monsters. Therefore, another guess: Burns and Smithers will be offered as a “Lord Voldemort”-special (another Gil’s Deal?!) and that Asian Guy offered as a Building/Character-Combo for Donuts in Act 3. What do you think, Alissa? Am I guessing completely wrong? After I posted that I thought that it would be much better if that Burns/Smithers-Combo would be the final price of act 3. But unfortunately I doubt. I think this is the most boring event ever, even some of those Episode-Tie-Ins were more interesting (imho). Between this and Angelica, which one is Better? I’m a freemium player and currently have 237 donuts! Lol trying to use them wisely!! Im considering this one… when will Wvil Shopkeeper be available? Was there ever any more discussion on dedicated spoiler posts? I know that was asked for by quite a few people in an open thread a while back so we can plan our donut spending a bit better during events. 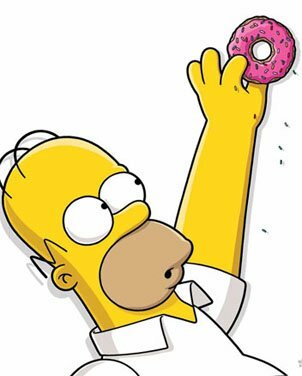 I already get the rest of my TSTO info here, it’d be nice if I didn’t have to go to any other sites at all to figure out how I want to budget my donuts. Most. Boring. THOH TSTO ever. Cannot wait to hit level 939 and nuke it! You need a lot of spare time to rebuild a level 939 Springfield. I did it once with a level 60 town and it took me about 24 hours to rebuild it. But one question: on YT I once saw a video that an alien (No 51) is unlocked when you nuke your town… is that true? I am on that level and would never nuke my town!! I’ve seen a few comments wondering about Pumpkin Houses. This might be the only new thing I don’t get this year.. not super excited about it. (may have already be stated) I just realized what is missing from the event (other than Halloween), I don’t have people to send to my neighbor’s towns!! I would never have thought I’d miss lawyers/zombies/fans/etc. But I do!! Why did they not include this in this event?!? Maybe because everyone complained about the lawyer from Homerpaooza so much?? Thanks for the post Addicts gang. I held off buying and only would have done so if there was a bonus % with the milk cans. I’ll hold off until all my mystery box shopping is done! Yep. There’s supposed to be another one closer to Halloween. I was pretty happy to get the House on Scary Hill in the first one. No clue what to expect for the 2nd round. 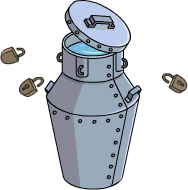 I know it’s not Halloween related, but I’d love for them to bring back the stuff from the Stonecutters event. I started playing after that one. I agree!!!!! i would love to have the stonecutters characters as a collection. EA please bring back the stonecutters as a side mini games for the players who do not have them. I remember the episode quite well and I love it. I caved in. I can’t refuse Lisa anythinhpg. The first part of his questline is a task for him and a task for Lisa. I haven’t sent Lisa on her job so I can continue to send Raymondo to earn 50 fairy dust every 4 hours. Done and done…and I mean done. Yes, it will work for either as long as you don’t finish both. I do have the Tale of Two Mages Pt. 5 unfinished (Bart’s part) so Lisa can earn 25 an hour, though I’m not logging in that often. I will have all my beasts fully enchanted soon and, since there aren’t many ways to earn event currency, I thought it would help to keep this quest open to earn a bit more. I just get him a few moments ago! I always check the posting to check the on suggestion before a purchase. On the other hand usually i get the combo offers of a building with character that is under 150 sprinkles! If a combo price is 150 sprinkles; i have to love it or if Alissa suggests it is a good buy. Anything over 150 i never purchase unless Alissa states “buy buy buy”. Thanks Alissa and everyone else for time you invest with the postings. Not for my freemium game – picked up Angelica because I liked the character, but definitely didn’t even need her for the event. This is a surprisingly low key party, easy to earn prizes early. Thank goodness for bonuts! Anxiously waiting for the second Halloween mystery box to appear! Hurry up EA! Travis when you say second Halloween mystery box do you mean like another round with new/previously un-owned items? I ask because I cleared out the one I had and there is nothing else to purchase for me.